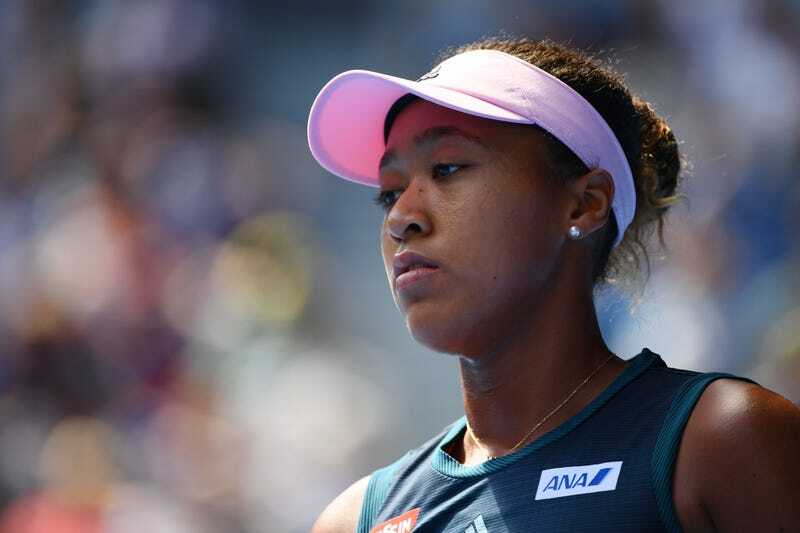 Japanese noodle company Nissin has pulled an ad egregiously whitewashing Haitian-Japanese tennis player Naomi Osaka. In the animated ad, the tennis star—who has proudly and repeatedly claimed both sides of her mixed-race heritage—essentially had her skin bleached of all its melanin. Osaka’s nose has also been narrowed, and her hair reduced to a short, wavy mop that doesn’t resemble Osaka’s gorgeous curly strands in the least. In short, we don’t know what kind of nonsense this is, but it’s no Naomi we know. In a statement to the Japan Times, a Nissin spokesperson said the company “never had the intention to do what is known as ‘whitewashing,’ but with this becoming an issue, we will pay more attention to respect for diversity in our PR activities.” Nissin pulled the ads, which also featured Japanese tennis pro Kei Nishikori, from their online site on Wednesday, according to the New York Daily News. A spokesperson said the portrayal of Osaka was in keeping with creator Takeshi Konomi’s distinctive style. Konomi incorporated the depictions of the 21-year-old Osaka and Nishikori into characters from his manga and animated series The Prince of Tennis for the Nissin campaign. “We accept that we are not sensitive enough,” the company spokesperson told the Guardian. Osaka, for her part, addressed the controversy with reporters in Melbourne, Australia on Thursday. The tennis champ—ranked No. 4 in the world among professional women tennis players—said she spoke with Nissin about the depiction. But given a huge opportunity to push the needle forward, Nissin whiffed. “Everything that distinguishes Osaka from your typical Japanese anime character was gone, and what was left? Your typical Japanese anime character,” McNeil wrote. Perhaps most concerning is a Nissin spokesperson’s claim that Osaka’s agent approved the ad before the company was later asked to take it down. The spokesperson, Daisuke Okabayashi, told the Daily News that the company still supports Osaka and “did not want the flap to be a distraction,” writes the paper. Not that Osaka seems bothered. The 2018 U.S. Open champion is slated to face off in the Australian Open Women’s Final against Petra Kvitová. “I’m just focused on [the tournament] right now. I’ve gotten to the final of a slam, and that’s sort of my main priority,” Osaka said. Put that in your Cup o’ Noodles and slurp it.